Don’t you sometimes feel like something sweet after dinner or with a cup of coffee? 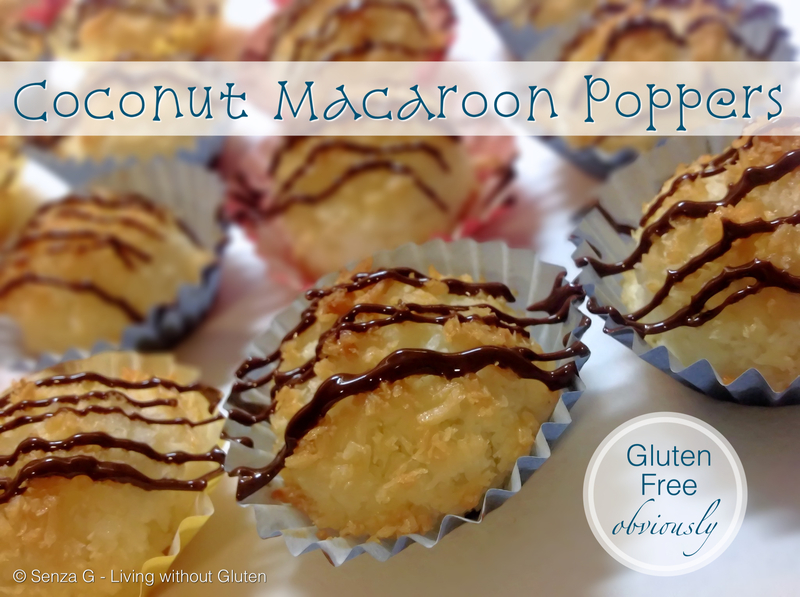 These just hit the spot as they are so simple to put together and in a few minutes you can have a batch of freshly baked coconut macaroons! They could not be easier to make! Preheat oven to 150C.Whisk the egg whites, sugar, vanilla, almond and salt in a bowl until the mix is frothy.Add the coconut to the egg white mix and stir until the coconut is completely combined. Prepare a baking sheet. 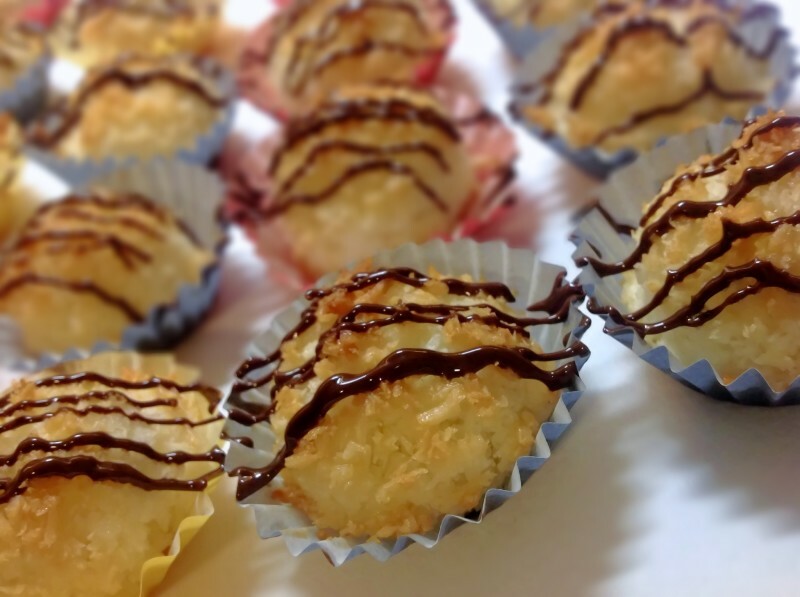 Take teaspoonfuls if making mini ones or tablespoons if you prepare bigger macaroons and place in the paper cups. Space them an inch apart. Bake for approximately 15 to 20 minutes until golden, less time if you are making the poppers. Let them cool down and if you wish you can drizzle some chocolate across them as decoration. They will keep in an airtight container for up to a week … i.e. if you do not eat them all before that !